The German telco is selling most of its Scout24 unit to Hellman & Friedman. A 2 bln euro enterprise value is a hefty 20 times EBITDA, though the buyer has ways to mitigate this. DT is fortunate that private equity firms are hungry for carve-outs – and property portals so hot. 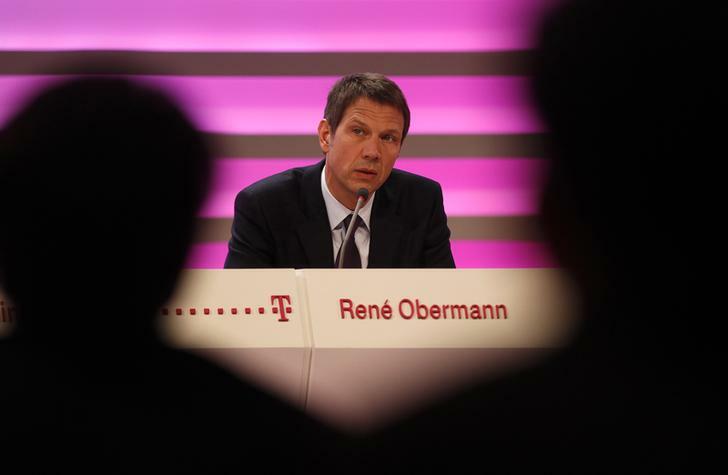 Deutsche Telekom CEO Rene Obermann addresses the annual news conference in Bonn. Deutsche Telekom agreed to sell 70 percent of Scout24, its online classified advertising business, to U.S. private equity firm Hellman & Friedman. The seller, Europe’s third-largest telecoms operator by market value, said it expected to receive cash proceeds of about 1.5 billion euros when the deal closes in the first quarter of 2014. In a statement on Nov. 21, Deutsche Telekom said the deal gives Scout24 an enterprise value of about 2 billion euros ($2.7 billion). That equates to about 20 times the EBITDA which the unit is likely to make in 2013, people familiar with the matter said. Scout24 operates Germany’s biggest property portal, ImmobilienScout24, and AutoScout24, the European car-trading business. In October Reuters, citing sources close to the process, reported that Deutsche Telekom’s original plan, to sell just 30 percent of the company, had caused friction with potential buyers. Several of H&F’s rivals, including Apax, EQT, Silver Lake and TPG, also participated in the auction.